← Why do you look back? I am a member of ancestry.co.uk and have published my family tree online. This means anyone looking on there can also see my family tree, and can contact me if they so wish. Recently I have had messages from my mother’s family. I always get confused with what to call them, grandmother, adopted grandmother … maybe it’s best to use their name! 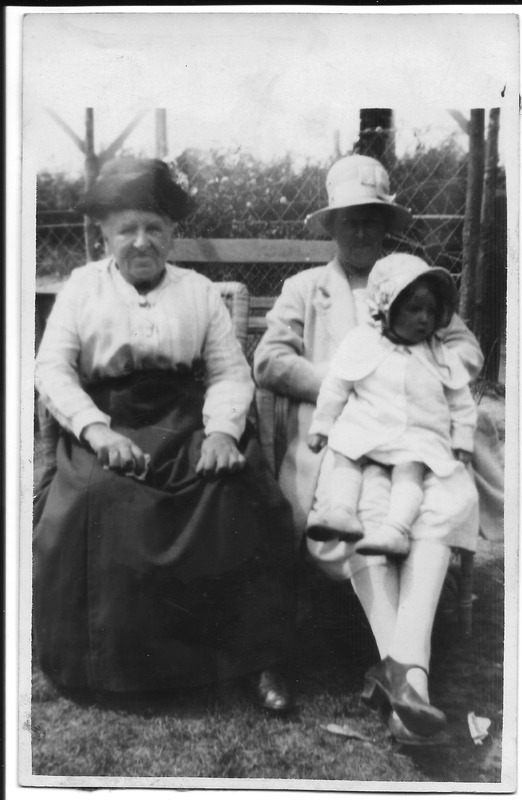 I was contacted by the great-grandchild of my adopted grandmother’s brother – yes, it gets complicated! So Mum’s adopted mother, Winifred Howells lived in Shoreham-by-Sea, West Sussex, which is just along the south coast from where I live now. Mum would take me to visit her often, we would go on the bus together and when we arrived there would always be colouring books and pencils to amuse me. 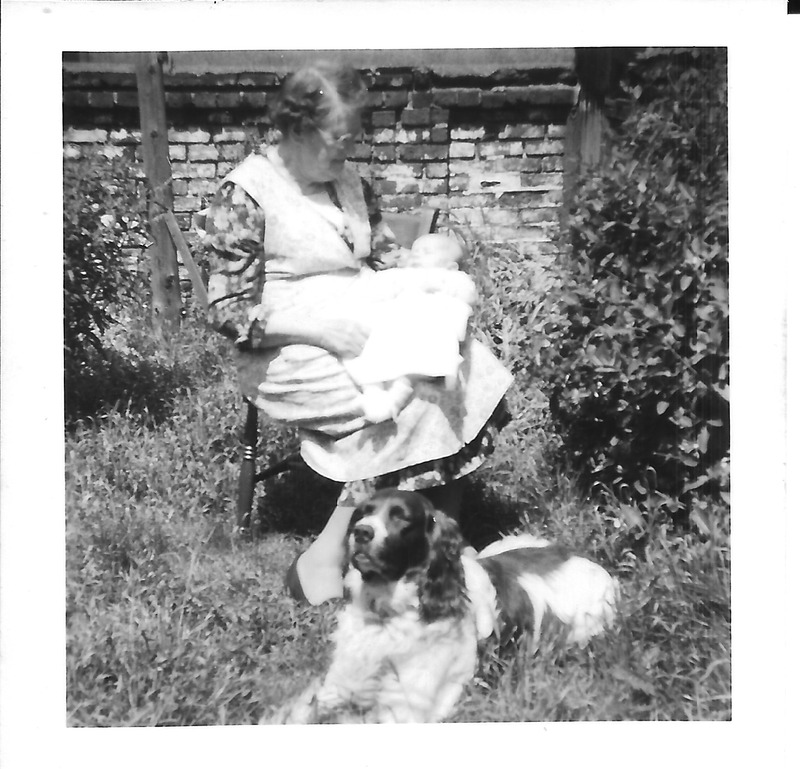 Here is a photograph of her in her garden. She kept chickens and had an outside toilet. Mum used to tell me stories about when she was young, and many of these included her own grandmother, Winifred’s mother – Caroline A Brown. She lived with Winifred, and although she seems to have died when Mum was about three or four years old she make a big impression on Mum who remembered her fondly. I have two photographs of her. Caroline A Brown, seated. 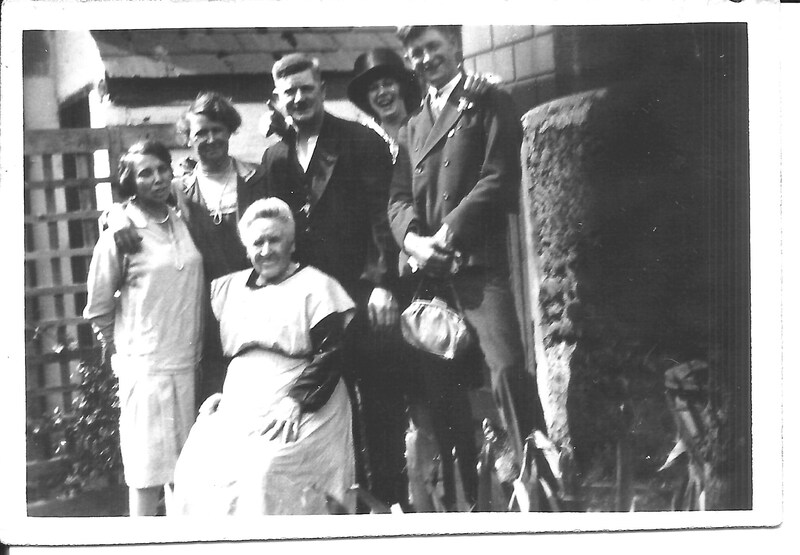 Winifred Howells second from left. This entry was posted in Enid May Howells, HOWELLS, Winifred Howells and tagged Adoption, Caroline A Brown, Shoreham-by-Sea. Bookmark the permalink.